The Client Services Department is the most important point of contact for all client publishers. It is responsible for ensuring that the highest quality service is provided to them, giving advice and support, and acting as a conduit to all elements of the distribution cycle. Developing strong working and personal relationships built on confidence and confidentiality, is paramount. Through our expansion in the past few years we have gained a wide range of experience in implementing new clients. Our Client Development and Services Manager works closely with our Managing Director to ensure that every implementation runs smoothly and that publisher requirements are fully understood. 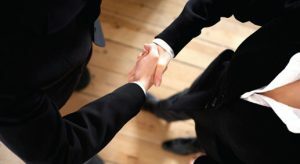 We make sure that everything is in place as quickly as possible, from the transfer of stock, to IT systems being up and ready with titles and prices, making sure that reps, special prices, market restrictions, dues and discount codes are in place, and briefing the Customer Services team on what to expect. All deliveries are booked in advance by Client Services and confirmed to publishers on receipt, and they control the flow of daily delivery schedules to the warehouse, instructing them – in conjunction with the publishers – about when to release dues. Everything is carefully checked, from the price of new titles to when the publisher has authorised the release – accuracy is paramount! Marston is one of the few distributors to offer an OTO system for publishers. Rather than holding slow-moving titles at Marston, we can generate a monthly or bi-monthly report of backorders so publishers can simply send stock over as needed to fill specific orders. With no need to print and ship books that might not sell and no storage charges to deal with, this can be particularly cost-effective for overseas publishers. The Client Services Department ensures that all title creation and maintenance is accurate, clear, and up-to-date, and alerts publishers if they identify errors or inconsistencies. A suite of daily and weekly reports are emailed to clients, all of which, including monthly reports, are available on-line via a password protected FTP site. Marston takes a very proactive role when it comes to international book fairs, providing publishing clients with helpful timetables and schedules about when to send material, and arranging despatch to and collection from them. Of course key staff from Marston attend many of these fairs too – especially the London and Frankfurt Book Fairs, Book Expo America, and the Christian Book Convention.